FTII Application Form 2020 will be available in online mode only. Interested aspirants must ensure that they fulfill the eligibility conditions before applying online. To apply for FTII 2020, applicants need to register first by providing the basic information. Only one application per candidate will be accepted. Multiple applications will be rejected. In the online application, applicants must provide their correct details such as Personal Details, Academic Qualification Details. After filling in the details, upload photograph and signature as per the specifications FTII application process. The payment of the application fee will pay only through the online mode. 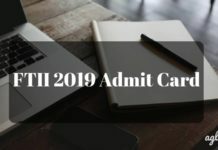 Candidates can check more information about FTII Application Form 2020 in the article below. The application fee for FTII 2020 is to be paid through State Bank of Patiala (SBP) collect. Applicants should submit only one application. Multiple applications will be rejected. Candidates should fill the FTII Application Form 2020 only after ensuring that they fulfil all essential requirements and qualifications for the course they are applying for. The Application form must be complete in all respects. Incomplete applications will not be considered. 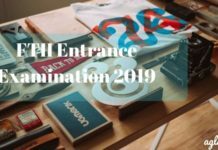 How to Apply Online for FTII 2020? Click on the link that will be provided on this page to apply online. Register online by creating the Login username and password. Fill the registration form by providing information such as Name of the Applicant, Username, PAssword, Email ID, Mobile Number and submit it. On registering successfully, applicants will receive the created username and password at their registered mail id. Applicants need to provide only valid details in the online application form. Fill in information such as Personal Details, Educational Qualification Details, Contact Details, etc in the FTII Online Application Form 2020. Upload scanned passport size colored photograph and signature in the online application as per the specification. On completing the above-mentioned steps, applicants need to submit and take a print out of the completed application form. Immediately after submission of the application, candidates should make payment for the application fee. The Application fee for FTII 2020 is accepted only through State Bank of Patiala (SBP) collect. On selection of options click button “Submit”. On clicking button “Submit” the information about Name, Category, Examination fees will be displayed. Note: Once the payment has been made through Debit/Credit Card; you will not be allowed to change/modify any information. Insofar, official details of FTII Admission 2020 have not been announced. Information on this page is as per last year brochure and for reference purpose only. 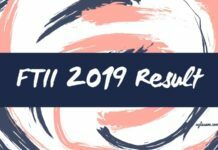 As soon as Film and Television Institute of India releases FTII Admission 2020 information brochure, details will be updated here.